Osta is slang for Ostarine (also known as MK-2866 or Enobosarm) which is selective androgen receptor modulator (SARM). Ostarine is an anabolic agent prohibited at all times under the WADA Prohibited List. It can be found in dozens of dietary supplements, and may or may not be listed on the label. Not only do such products pose significant health risks, the use of ostarine is an anti-doping rule violation regardless of whether you are an elite or a recreational athlete. If you come across a product advertising to contain ostarine, please email drugreference@USADA.org so we can add it to our High Risk List. Is my supplement safe to use? Unfortunately, the answer to all of these questions is that you always assume some risk of testing positive for prohibited substances when you use supplements because of how supplements are regulated. The Food and Drug Administration (FDA) does not analyze the safety, efficacy, or label accuracy of supplements before they are sold to consumers, which means that no one, including USADA, can look at a supplement label and tell you whether a product is safe and free from banned substances. Additionally, it is well documented that some dietary supplements have been contaminated or spiked with performance-enhancing drugs, active pharmaceuticals, or research compounds. The label lists a prohibited substance, but when the product is tested, the ingredient is not in the supplement. The label lists ingredients that are not prohibited, but testing shows the product contains a prohibited substance. Repeat testing reveals different ingredients in various batches of the same product. Both the Supplement 411 High Risk List and the FDA Tainted Supplements webpage list MANY examples of tainted or spiked supplements. However, because of the number of supplements on the market, neither the Supplement 411 High Risk List nor the FDA Tainted Supplements List is an exhaustive, complete list. Both lists are constantly updated as additional high-risk products are identified. Currently, there could be many hundreds of products on the market that would qualify for one or both of these lists that haven’t been identified yet! Please be aware that you are taking a huge risk by assuming the label is accurate and using it to make a decision about whether to use a supplement. Just because a label does not list any prohibited substances, it would be wrong to conclude that the supplement is safe, and it would be wrong to conclude that the supplement is USADA-approved. If your supplement exhibits any of the red flags on this supplement red flags card, or if the product is on the Supplement 411 High Risk List or the FDA tainted supplement website, then USADA recommends that you do not use the product. Under the rule of strict liability, the use of any dietary supplement is at your own risk. How do I get my supplement USADA-approved? USADA does not evaluate, certify, approve, or endorse any dietary supplement or any dietary supplement company. Athletes: Athletes who choose to use dietary supplements in spite of the risks are encouraged to reduce the risk as much as possible by using products that are certified by a reputable third party testing agency. It is up to you, the athlete, to learn about certification programs and determine if a program reduces the risk to a level you are comfortable with. However, keep in mind that no third party testing agency can guarantee that a product is 100 percent free from every possible banned substance. Retailers: USADA does not have a process to evaluate your products and USADA does not provide consulting services of any type regarding the manufacture or marketing of dietary supplements. Why can't I find my supplement on GlobalDRO.com? Some athletes get frustrated because they try to find supplements or specific ingredients on www.GlobalDRO.com but don’t get any search results returned. However, it is well documented that dietary supplement labels are not reliable, thus dietary supplements are not included on GlobalDRO. There are some ingredients in the database that may also happen to be in dietary supplements. Just because a search for an ingredient such as creatine or vitamin B comes back as “not prohibited”, there is no guarantee that only those ingredients are in the supplement or that it does not contain other undeclared ingredients. Global DRO was not designed to provide advice on the prohibited status of dietary supplements. The High Risk List says some dietary supplements contain illegal ingredients. What does that mean? The FDA has clarified their stance on a number of popular ingredients that are sometimes sold in dietary supplements. Many of these illegal ingredients are also prohibited in sport. Not only are many of these prohibited in sport, but they also pose health risks. These ingredients are not legitimate dietary ingredients and do not contribute to health or nutrition. It is agreed among licensed sport dietitians that these ingredients should not be included in an athlete’s diet. Acacia Rigidula (products that list this herbal might contain synthetic BMPEA). BMPEA is a substance that does not meet the statutory definition of a dietary ingredient. Research conducted by the FDA in 2013 established that BMPEA is not a constituent or extract of Acacia rigidula. DMAA, also known as 1,3-dimethylamylamine, methylhexanamine or geranium extract, is an ingredient found illegally in some dietary supplements and often touted as a “natural” stimulant. FDA continues to advise consumers not to buy or use dietary supplement products that contain DMAA due to the health risks they present. Picamilon is a substance that does not meet the statutory definition of a dietary ingredient. Picamilon is used as a prescription drug in Russia for a variety of neurological conditions. It is not approved as a drug in the U.S. However, some products may be spiked with the illegal stimulant BMPEA, but Acacia Rigidula is listed on the label. Is my herbal supplement prohibited? Plant based ingredients can have many dozens or even hundreds of natural constituents, some of which may not even be identified or characterized yet. Although most herbs are safe to use in sport, some plants naturally produce prohibited substances. For example Cannabis sativa naturally produces THC, the ephedra plant produces ephedrine and pseudoephedrine, Citrus aurantium (orange peel or bitter orange) produces octopamine, and Tinospora cripsa produces higenamine. If you choose to use an herbal dietary supplement you should work with an herbal specialist who can advise you. The use of any supplement is at your own risk. 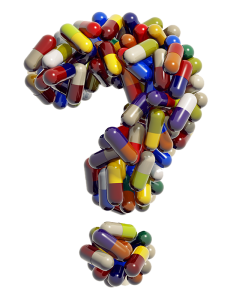 Have a supplement question? Let the experts answer it for you. Submit your question below.